I knew before visiting Boulder, Denver, Minneapolis and St. Paul last week of their strategies for expanding affordable housing. But I came away feeling that a lot more progress is being made than people realize, even in high profile cities like Minneapolis. We need to remedy that. I told a reporter upon arriving in the city that “Denver is doing all this great housing stuff.” It’s even doing more than I knew. Yet the path breaking work of groups like Denver’s Urban Land Conservancy (ULC) was unknown to activists I spoke with in other cities. As I describe in Generation Priced Out, ULC specializes in two critical affordability strategies: buying land before prices rise and acquiring land along future transit corridors. This latter strategy is pivotal as it connects new affordable housing to new transit. ULC is acquiring land outside the RTD rail line stop after stop, a brilliant strategy for connecting affordable housing to transit. Considering how much vacant land surrounds transit lines, this strategy should expand to other cities. I also saw in Denver that young people are connecting more to housing advocacy than ever before. They recognize that fighting climate change requires reducing driving, and that this demands infill housing and better transit. I met with The Public Interest Network , the PIRGs and Frontier Group and all are prioritizing these goals (several people could not get to our meeting due to the “bomb-cyclone” blizzard). I’m not sure why Denver’s strategies for expanding affordability do not get more national media coverage. But other cities should pay attention. It was great to get a chance to meet the people whose activism ended single family home zoning last December. From City Council President Lisa Bender to @WedgeLive’s John Edwards, Minneapolis is filled with elected officials and activists committed to increasing density and improving transit. Minneapolis went beyond ending single-family home zoning to enact other progressive land use measures including inclusionary housing. As with Seattle and other cities, Minneapolis shows that since homeowners fiercely oppose incremental changes, land use reformer may as well go big. St. Paul has not ended exclusionary zoning so has not gotten the national attention of neighboring Minneapolis. But St. Paul has a Bus Rapid Transit on key streets (which Minneapolis still lacks) and one of the nation’s great historic train stations. 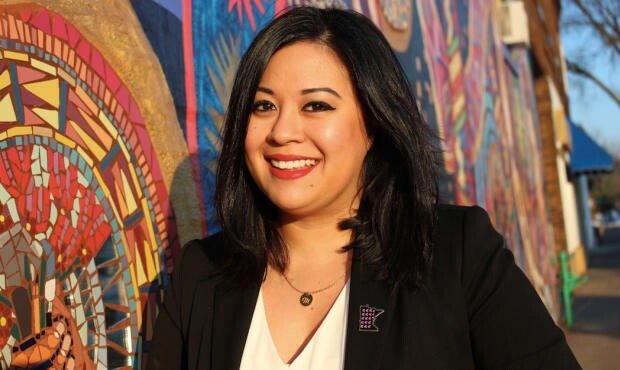 St. Paul also has Mitra Jalali Nelson, a rising young star in the urbanist movement. Nelson is a former community organizer and a strong advocate for infill housing and expanded transit. Her election shows the breadth of the urbanist movement, and she and other young Twin City activists left me hopeful for the future. I did not leave Boulder feeling its growing power, though I did get in a public dispute with the mayor over the city’s refusal to build much housing (See “Author, activist indicts Boulder’s housing policy”). But I met a lot of longtime residents who recognize Boulder is on the wrong track. I also connected those interested in setting up a YIMBY group with a leading YIMBY in other city. Boulder has very few University of Colorado students stay in the city after graduation. Why? They cannot afford to live there. What a harsh indictment. Boulder has ample space to grow but maintains a 38 foot height limit moratorium and prevents a five-bedroom home from renting to more than three unrelated residents.At my reading a boomer said I had it all wrong, and that Boulder did not need more housing but instead needed to freeze jobs and population. When I asked how that could happen considering the University of Colorado was not under local control, he said we had to change that. Such is Boulder. A cautionary tale as to what happens when a city thinks not building housing is the best approach for dealing with population and jobs growth. Boulder aside, the rest of the nation’s blue cities are on a roll. The challenge now is creating a sense of emergency around building infill housing and reducing traffic and parking; business as usual and incremental reforms are not enough.